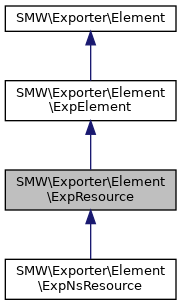 A single resource (individual) for export, as defined by a URI. This class can also be used to represent blank nodes: It is assumed that all objects of class ExpElement or any of its subclasses represent a blank node if their name is empty or of the form "_id" where "id" is any identifier string. 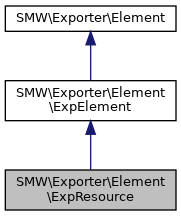 IDs are local to the current context, such as a list of triples or an SMWExpData container. The given URI must not contain serialization-specific abbreviations or escapings, such as XML entities. Get the URI of this resource. The result is a UTF-8 encoded URI (or IRI) without any escaping. Return true if this resource represents a blank node.